"Saw this at the market the other day. The ingredients were simple and it looked delicious! Many substitutes abound (liquid, sweetener, spices). Vary amounts to taste!" 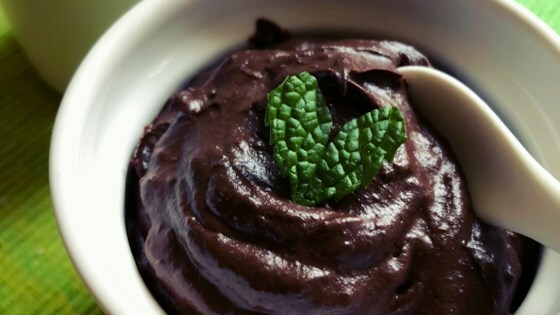 Blend avocados, cocoa powder, brown sugar, coconut milk, vanilla extract, and cinnamon in a blender until smooth. Refrigerate pudding until chilled, about 30 minutes. WAY too much cocoa! Used 3 avocados and the cocoa was still overpowering.